A graph can be converted to a jobflow. 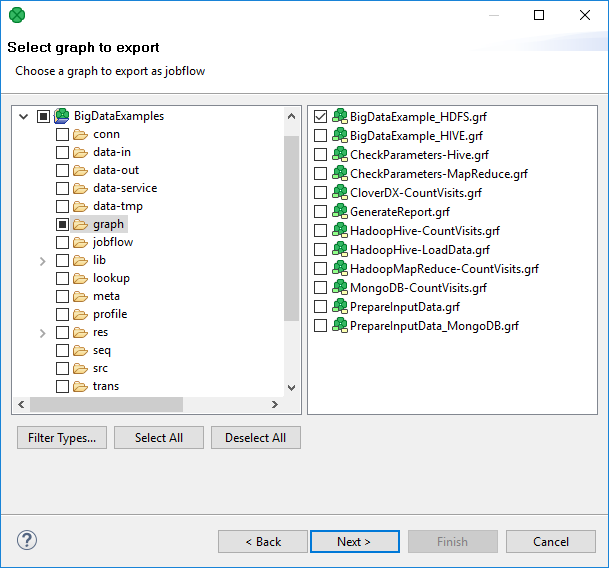 The wizard converting a graph to a jobflow creates a new jobflow in a user-defined directory. The original graph is left untouched. You can convert only one graph at a time. Right-click Outline and choose Export. Select Convert Graph to Jobflow. Select one graph to be converted to a jobflow. Choose the file name and destination for the converted jobflow.